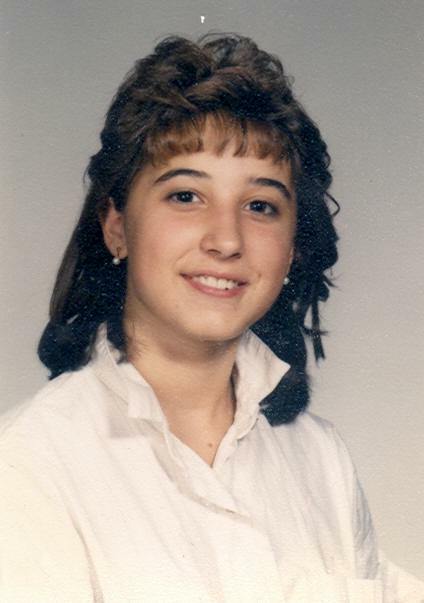 Me in sophomore year of high school, I think. All those things we shouldn’t have done. That hair…. another pet peeve. I’m reading fiction for Dogwood today, and here’s what I’m noticing in stories that strike me the wrong way. Some of these, of course, irritate me because I have done these exact things when I used to write fiction. 1. When a main character’s first problem is that he or she is bored. 2. Puns in the title. I love puns. But not in the title. 3. A flurry of people introduced in the first paragraph. 4. A flurry of people with trendy androgynous names in the first paragraph. Karp, Jae, Ren, Jasp, whatever. People often have dorky and awkward names in real life, not these little moments of sculpture. Don’t give them the names you wish you had. 5. A kid setting a fire for no reason. 6. Old people just being cute and old and wrinkly and forgetful. The whole story just old people sifting through documents and making phone calls. 7. People being rural just to be rural, and having ruralness as the main problem in the story. 8. The dreaded alarm clock in the first paragraph. 9. The dreaded recounting of a dream anywhere in the story. I’m sorry. But I mean it. 10. Surreal plot twists are fine, but if you’ve got that without interesting characters, it won’t work. 11. When the characters all know each other so well that they speak in quarter sentences and no one bothers to explain to me what’s going on. That’s not art, that’s lost. 12. A dead person on the first page. Many people LOVE murder mysteries, but I find life stressful enough without extra corpses to contend with on page one. Just a personal quirk. “Travelling to the moon was way less complicated this year than it was back in 1969, as the four of us proved, not that anyone gives a whoop.” This is the first line of the story by Tom Hanks that was published in The New Yorker earlier this year. It is my current No. 1 pet peeve. So now I have 13. Now I have 13, too. Actually Tom Hanks in every sense is a pet peeve for me (except Philadelphia and Big). I loved Big. I loved Philadelphia. I even loved that movie when Tom Hanks falls in love. But I just can’t forgive The New Yorker and, by extension, I can’t forgive him. Bad editing is my pet peeve. I wouldn’t dream of submitting to any publication without an editor running an eye over my deathless prose. And when well-known authors are badly edited I stop reading whatever it is immediately. I mean right away! There are plays like this too…infuriating! Dear readers: You will LOVE this, by a friend and former colleague. Sort of “You Knew What I Meant” macro…. I have reblogged this–hope you don’t mind, but it will delight my readers. My very first reblog! Ah, RAB’s link and her acute eye faileth not; your list is certainly at one with mine, and I’m glad to have read it. All in all a fascinating topic: ‘what not to do in fiction.’Personally I find that keeping the reader’s mind and ongoing process of discovery as he/she progresses in the piece is a formula for success. Or at least for keeping off of Peeve lists ha. (This is relevant to 3 9 and 11 I’d say. Once again perhaps I’m too caring and lovey, but for me, thoughtlessly confusing and misdirecting the reader is a deal-breaker. Oh, I recently received as a gift a novel from a well-liked published author. Expecting only good work I tore into it at once. Hmm.. by the second chapter I drew the blinds so that no one even a mere passer-by should know I’d consent to reading such a muddled mess of drivel. I’m still two years later, trying to gracefully word a thank-you note. Mine would have to be the mandatory happy ending. Those are never done well because they’re done out of necessity, not artistry.